Picture of Bill Gates founder of Microsoft, has sparked controversy on various social networking sites. 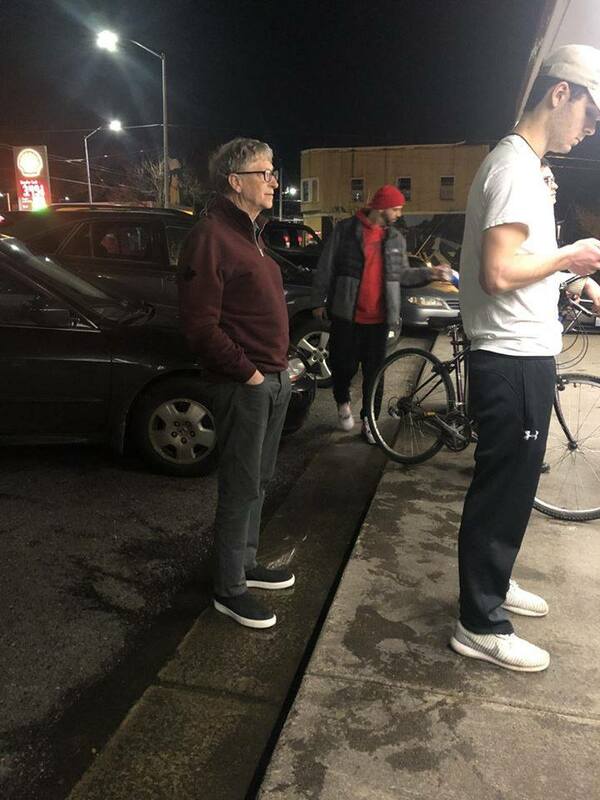 The photo showed the founder of Microsoft, waiting for his role in front of a fast food restaurant, standing in the row and putting his hands in his pocket as a customer of this restaurant. Former Microsoft employee Mike Gallus shared the picture on his Facebook page, commenting: "That's exactly how the real rich are acting." The comment was a sensation, with more than 16,000 users participating in Facebook. Twitter fans praised Gates's behavior, asserting that he "behaves like ordinary people." Bill Gates has a long standing presence in public places, especially fast-food restaurants serving burgers he loves very much.